In April 2015, 10 more LabTalks were published showcasing the high-quality and diverse research JPCM publishes. Here are some of the highlights. All of JPCM’s LabTalks are free to read here. Research into this two-dimensional layered material is receiving increasing attention of late due to its potential impact on 2D electronics. In this LabTalk, Yanqing Feng et al discuss their recent paper on few-layer phosphorene in which they study the raman spectra using first-principles. 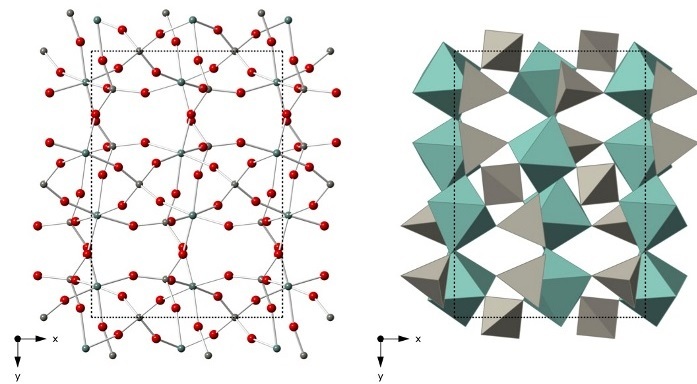 Their results may help characterize the thickness of this new material experimentally. Another 2D material that often features in JPCM is the carbon-based graphene. Here, its optical properties are influenced by different metallic and semiconducting substrates to investigate their impact when fabricating photoelectric devices. The paper by Ulstrup et al is part of a wider special issue on hot carriers in graphene guest edited by C Voisin and B Placais, which features a number of papers discussing the implication of hot carriers in electronic and optoelectronic devices. Rimmer and Dove discuss their latest results on negative thermal expansion in this Labtalk. Using Grüneisen theory and flexible models they are able to analyse the phonon spectrum of a metal-oxide framework. Their paper is free to read until March 2016. Image adapted from Rimmer and Dove 2015 J. Phys. : Condens. Matter 27 185401. Copyright IOP Publishing 2015.